Restoration projects can be very fun. Taking something with little value and modifying it. 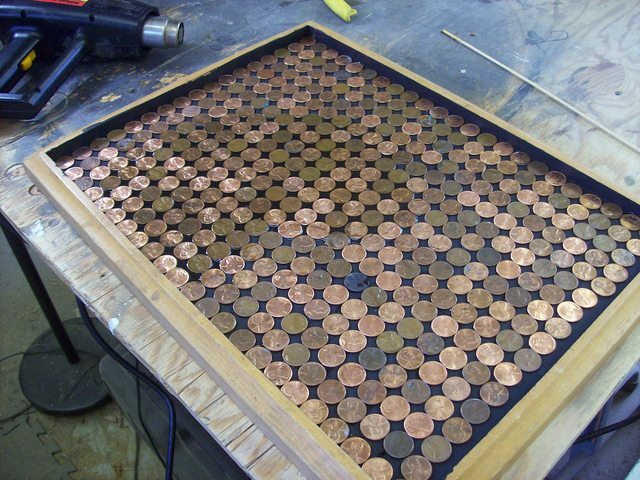 I take a garage sale TV tray and add 391 pennies, epoxy and a 12” length of copper pipe. 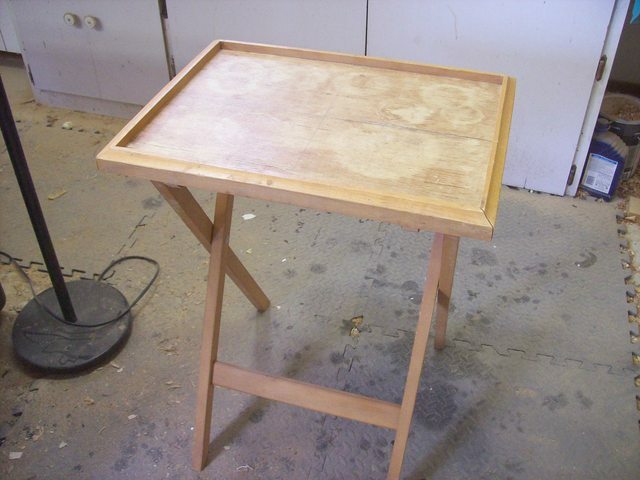 No table saw, no band saw and no lathe. This is a basic build project! Nice job Peter. That’s about all they’re good for now, ‘specially up here. Like the tray, been watching your videos, some great idea. thanks for sharing. Very interesting project – nice repurpose. Great job – on the tray AND on the video. But being a coin hoarder I have to ask: Did you sort through them first to make sure there were no rare ones in there? I am sure that numismatists everywhere are cursing you at the moment (while some economists love the idea of removing money from circulation). Thanks for posting. This one made me smile! Nice job! Thanks Paul! I do appreciate it! Noting special here! I thought I has a steel penny, but it was just some zinc showing though! Thanks guys for the comments on the project! I’m glad you liked it. It was a fun one to make! Cool project! 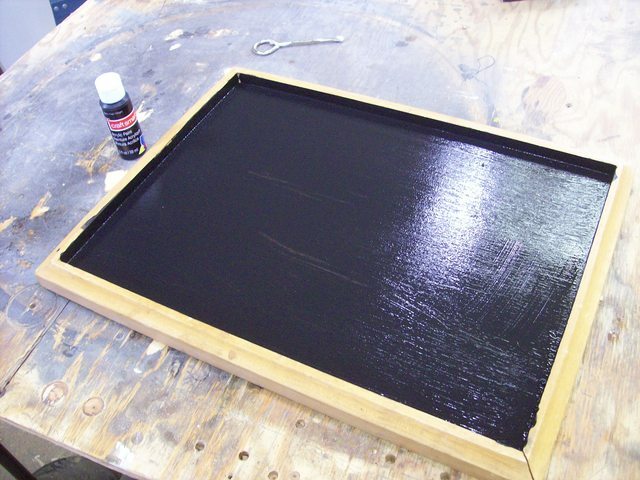 Did you have any issues with epoxy shrinkage and how thick was the layer you added? Very, Very cool. Great work and thanks for sharing! Nope. This product was made just for pouring so that might be why it was so easy! No bubbles, no shrikage. But at $25 a bit pricey. It’s just a hair thicker than the pennies. Thank god for time lapse video to shorten the singing.